AMMONNEWS - Six people have been charged after Australian authorities uncovered a multi-million-dollar crime syndicate stealing baby formula and vitamins from major retailers across Sydney for shipment to China, police said Monday. Four members of one family and two other men have been arrested and charged over the “organized criminal group” that New South Wales Police believe has operated for several years. “We’re thinking this is quite an expansive criminal group that was exploiting an overseas market at the disadvantage of the Australian public,” NSW Police Detective Superintendent Danny Doherty told reporters in Sydney. 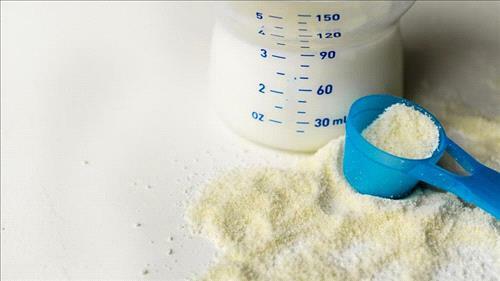 Doherty said investigators were still probing where the products were being sold, but alleged that so far, “thousands of shipments of baby formula were sent to China”. Premium baby milk formula, vitamins and honey from Australia are highly sought after in China, where consumers are fearful of lax food safety standards that have resulted in deaths and health scares. The investigation kicked off in February last year after police received reports of thefts from Sydney retailers. Investigators said they searched two Sydney homes in August and seized 4,000 tins of baby formula, “large quantities” of vitamins, Manuka honey as well as more than Aus$215,000 (US$154,000) in cash. The latest arrest was of a 31-year-old man on Saturday at Sydney Airport after he arrived on a flight from China. “It’s been a meticulous investigation... and we anticipate further arrests will happen,” Doherty said, adding that police estimated around Aus$1 million worth of powdered milk was stolen in just the past 12 months. There is also a growing grey market in Australia where purchasing agents known as “daigou” help Chinese customers secure products in Australia by buying them from local shops and shipping them to China, raking in a tidy profit in the process. Analysts estimate that there are thousands of daigou who can make an average of Aus$100,000 each year by re-selling the products. Local media estimated that a tin of milk powder sold for Aus$30 in Australia could be sold for Aus$80 in China. The demand, particularly for baby formula, has been so high in Australia that some supermarket giants have imposed limits on purchases or moved the milk behind the counter.